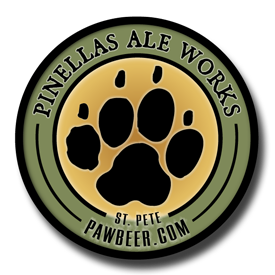 « PAW/ Safe Paws Thursday Yappy Hour! Bryan “Big Dog” Miller hails from the metropolis of Urbana, Ohio (pop. 11,613) He moved to Tucson, Arizona at the age of 19. After steadfastly refusing more formal music training (piano, trombone, choir, etc), Bryan picked up the guitar when at age 13, his older brother Steve threw off his guitar as he had found the Lord and had no use for worldly possessions such as a vintage natural finish 1954 Gibson ES-175 electric hollow body.Big Dog owes his big brother Steve for giving him his start with the guitar but stubbornly refuses to return that old piece of junk to this day. A longtime “closet guitarist”, Bryan sang and played mostly solo acoustic guitar in small coffee shop venues and for anyone who would lend an ear. That all changed in 1985 when Bryan had an opportunity to hear the one and only Stevie Ray Vaughn live and in concert at McKale Center in Tucson. Stevie was the opening act for Don Henley and absolutely blew the roof off the house. From that time Bryan began pursuing the blues and after practicing his trade has finally come out of the closet(in a manner of speaking).In 2002, while attending the National Guitar Workshop in Connecticut, Bryan had the honor of sharing the stage with the members of Blue Oyster Cult. “I played three songs with them and have never been so scared in my entire life.” Bryan played in a gospel band “Higher Ground” and also played in several local jam circuits before joining the short lived “Hogs Breath Blues Band.”Bryan then teamed with his long lost brothers to form the band, “The Fabulous Parker Brothers.. Bryan’s musical influences include Jimi Hendrix, Stevie Ray Vaughn, B.B. King, Robben Ford, Coco Montoya, Duke Robillard and Tab Benoit. Bryan currently makes his home in Tampa, Florida. In his spare time he flies big jets for a large well known formerly bankrupt airline and is based in Newark, NJ. The Man & Guitar World Tour consists of Bryan and a few of his favorite guitars playing blues, rock, country cajun and alternative, along with a few originals. The World Tour continues with world class Blues Harp player Ken Jones ridin’ shotgun!!!! Ken Jones grew up outside of Dallas Texas and had played saxophone in his high school marching band and has always hadmusic in his blood. He owned his own mobile DJ while attending College at North Texas State University. He picked up his first harmonica after being drafted into the Army in 1972. He just “played around” with it, not taking it too seriously and eventually got good enough off and on over the years to be asked to join his Church Country Band called God’s Country at the First Baptist Church of Indian Rocks. He played mostly Gospel music with a country flair for 20 years. This Country Gospel Band would take their own vacation time and use it to tour and visit small churches, assisted living homes and anywhere else they could find to spread their cheer as far away as Montana and the real North Pole Alaska. God’s Country produced 2 CD’s that can still be purchased via CD Baby. https://store.cdbaby.com/Artist/GodsCountry. Then in 2014 Ken got the Blues! He started attending local jams, liked what he heard and would hide in the back not going up on stage for a couple of months. The he really practiced a lot and sat in as a side- man for local blues bands and was happy to get the tip jar. Flash forward to 2017 where Ken now plays in 5 local bands as needed and 2 duos. He is influenced by Westside Andy Linderman, Kim Wilson, Paul Delay, Rick Estrin, D.W. Gill, Big Walter Horton, Little Walter, Charlie Musselwhite, and Steve Guyger to name a few. He has an enviable collection of vintage amplifiers and microphones and is immersed in improving his playing while holding down his full-time position as an Insurance producer with a large firm in St. Petersburg Florida.Ken met Bryan Miller at one of these jams. Bryan invited him to sit in at a local restaurant one night and the chemistry was there! The Man & Guitar World “Duo” tour now has monthly bookings out a year and is looking forward to a fun musical adventure for a long time to come!